A tough, experienced, affordable Wisconsin attorney for criminal, family, support, custody, liquor license application or renewal, Chapter 128 and other cases! Monthly payment plans, free consultations. CLICK "ABOUT ME" ABOVE FOR DETAILS. Since 1995, my practice has concentrated on zealously defending people accused of committing crimes (all levels criminal defense, state & federal), debtor law, divorce, paternity, child support & custody, liquor license applications, bankruptcy, Wisconsin bankruptcy alternatives and a few other things. Based in Milwaukee, I have many years of trial experience in these areas and others throughout the state, so consider me if you find yourself saying "I need a good lawyer!" Choosing an attorney can be tricky; we all have different advice on how to select the best one for you. Make sure that any attorney who might help you is ethical - ask if he or she has been disciplined for professional misconduct. Also, in addition to noting individual experience and qualifications, note who promptly returns your telephone call or email, who takes a genuine interest in your case, and who contributes to developments in his or her areas of practice. Don't be fooled by winners of lawyer popularity contests, such as Martindale-Hubbell's over-rated rating system or attorneys selected by their peers to appear in "Super Lawyer" publications (that's "Super Expensive Lawyers")! Instead, find an award-winning attorney with a significant number of years experience with no professional discipline, who teaches other lawyers and who is published in one or more of his or her fields of expertise. We are the ones you can really count on. Have you been injured in a car wreck or other "accident"? Talk to me to see if you might have a viable claim before you decide on a personal-injury attorney to represent you. Though I don't handle those types of cases myself, I do work with those types of attorneys and I know which ones are the most knowledgeable in their field, which are the most compassionate and which ones will have your best interests at heart in representing you. I'll steer you in the right direction and take the mystery out of choosing the right lawyer for you. I speak, read and write Spanish. Milwaukee,Waukesha,Washington, Racine, Kenosha, Ozaukee, Sheboygan and, for federal criminal cases, Dane. Click HERE to go to my web site about Wisconsin's fantastic Ch-128 bankruptcy alternative law. Unlike so many other attorney web sites, there are no impersonal form-blocks here for you to have to fill in and submit to consult with me for free. Just click the e-mail link below or pick up your phone and dial or text 414-218-3906 to contact me directly! FREE, CONFIDENTIAL CONSULTATIONS 24/7 BY EMAIL & TELEPHONE/TEXT FOR A VARIETY OF LEGAL ISSUES. 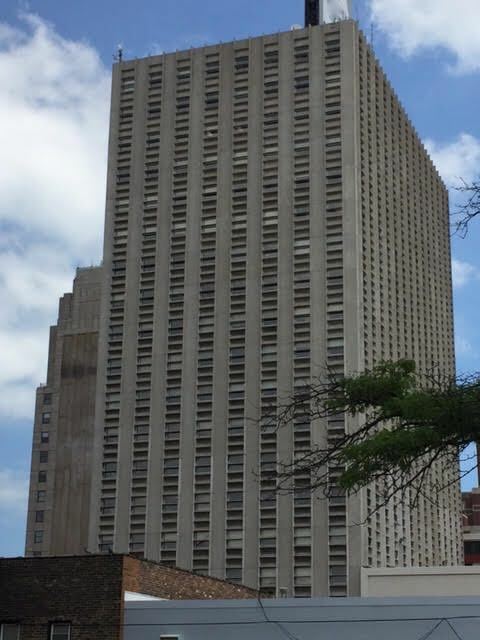 For shut-ins and people who simply are not comfortable coming to downtown Milwaukee to the office or consulting by telephone, I offer convenient and affordable hour-long legal consultations at their homes. Saturday afternoon house calls are available most weekends! (office consultations by appointment only). 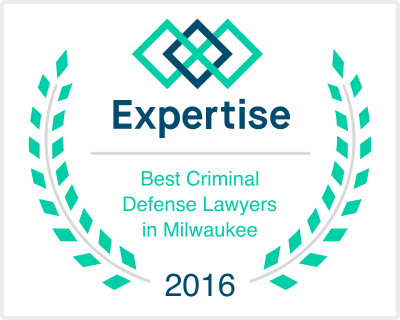 Chosen as one of the top 19 criminal-defense attorneys in Milwaukee by expertise.com (click this image for link to page). 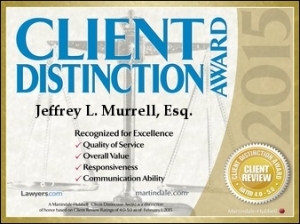 I received Martindale-Hubbell's Client Distinction Award because my clients selected me as one of less than 1% of the best attorneys from throughout the U.S.A. in a variety of categories, including communications ability, responsiveness, quality of service, and value for money. Click here to view my series of helpful YouTube videos!